Dinosaur Comics - December 2nd, 2013 - awesome fun times! December 2nd, 2013: Webcomics Rampage is this weekend in Austin, Texas! THAT IS WHERE I'M GONNA BE. Let's hang out! HOLIDAY SHIPPING DEADLINES: coming up, yo! This Thursday December 5th is one of the international deadlines! 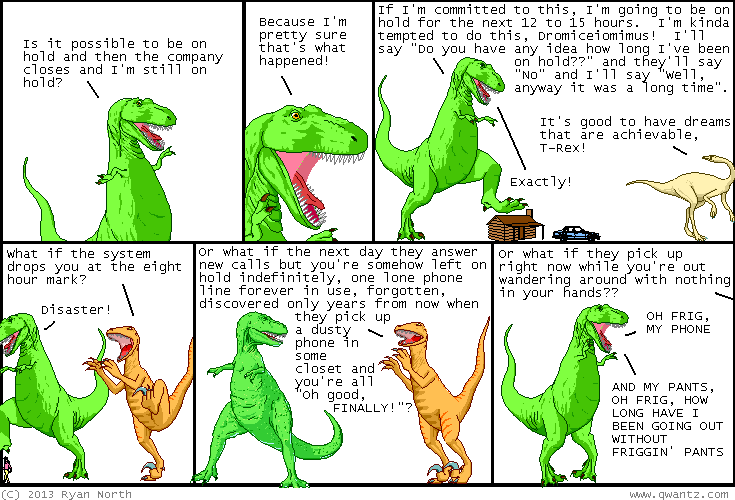 One year ago today: i call this comic, "what if t-rex was ask jeeves"